For some reason (and we’re not about to complain), T-Mobile is hosting a mega-phone sale today that includes most Android devices, even of the flagship variety. We’re talking hundreds of dollars off the Samsung Galaxy S7 ($313 off) or Galaxy S7 Edge ($419 off) or LG V20 ($409 off). In fact, you can have any of those phones for just $360 total, or $15 per month for 24 months. As far as we can tell, there isn’t a bill credit involved here. Instead, T-Mobile is just giving you a straight up mega-discount on those three phones in particular. 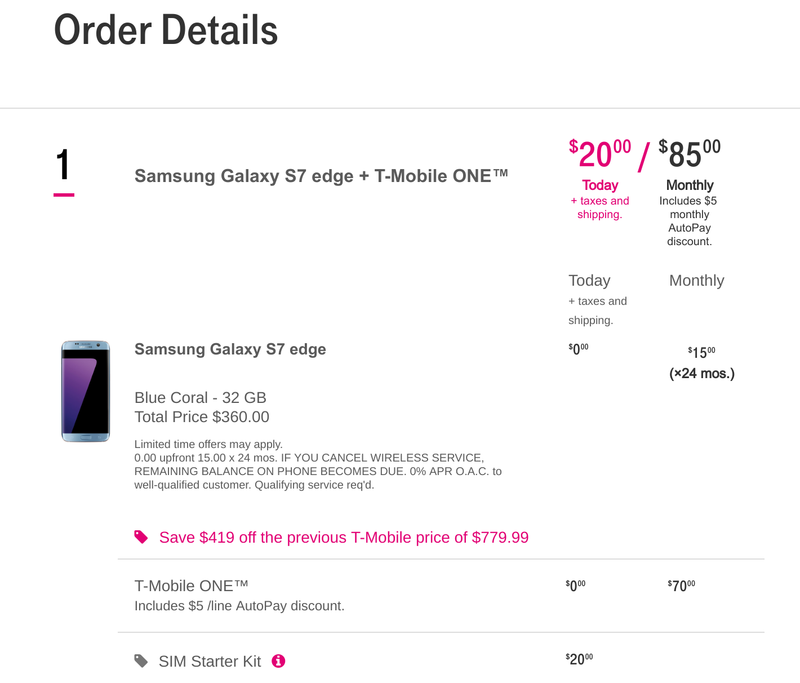 In order to get the deal, though, you do have to have a “qualifying” plan, which means T-Mobile ONE. 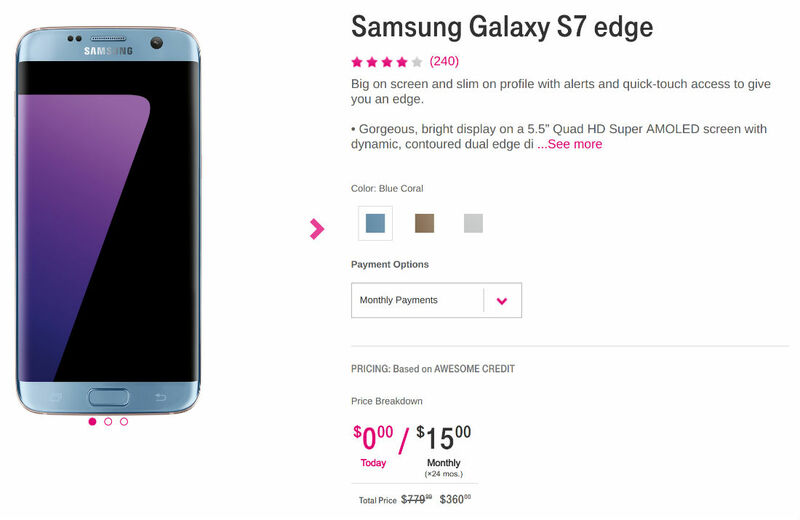 But because of the discounts on the phones, a customer could potentially get into the Galaxy S7 Edge in any color for $85 per month ($15/mo phone + $70/mo plan). That’s a pretty damn good deal. EDIT: T-Mobile ONE may not be a requirement at all. Depending on your plan, if you want one of these phones at the discount, you’ll just need to try and see if you get the deal. In the comments, we’ve already heard that Simple Choice plans seem to be eligible. According to the offer sheet, you owe zero up front for the phone. However, should you cancel wireless service at any time during, the remaining balance will (obviously) be owed. To shop all of the phone discounts, hit up that link below. Google I/O 2017 Registration is Now Open!